Author Jojo Moyes Rescues UK Literacy Program "Quick Reads"
Jojo Moyes, author of #1 bestselling Pamela Dorman / Viking / Penguin books such as ME BEFORE YOU, AFTER YOU and STILL ME, learned that Quick Reads, a UK-based literacy program for adults with reading challenges, was in dire financial straits and on the verge of closing. So she personally donated £360,000 in order to ensure that Quick Reads, which has distributed 4.8 million copies of short novels by big-name author since the program began in 2006, will be able to operate for at least three more years. “Having written a Quick Reads myself and spoken to readers who had benefited from the scheme, I knew how important it was," Moyes told The Bookseller. She added that it is a "really effective low-cost method of improving the reading skills and enjoyment" of less confident readers. Penguin Random House UK Chair Baroness Gail Rebuck, who founded Quick Reads, commented, “I have enormous gratitude towards Jojo. You can see in all her books her faith in the human spirit and how invested she is in humanity, which is reflected in this decision. I hope she will bring fresh insight to the campaign over the next three years.” Currently run by The Reading Agency, Quick Reads was set to close after it had been unable to secure a new long-term sponsor to cover its operating costs. Reading Agency chief executive Sue Wilkinson told The Guardian: "We couldn't be more thankful to Jojo for recognizing the importance of the scheme and so generously providing the funding to enable it to continue.” Moyes said, "My aim is to buy them a window, so we can put other long-term funding in place at the end of three years … it's a win for authors, it's a win for publishers and it's certainly a win for readers." 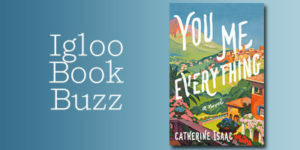 As April gives way to May, it’s finally starting to feel like spring, and our new Igloo Book Buzz selection, Catherine Isaac’s YOU ME EVERYTHING, published by Pamela Dorman Books/Viking today, is a title best read while relaxing outdoors. Set in the French countryside on an idyllic summer vacation, this beautifully written novel is by turns heart wrenching and hopeful, driven by one woman’s fierce determination to grab hold of the family she has and never let go. 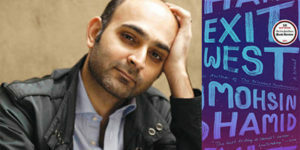 Mohsin Hamid’s EXIT WEST (Riverhead Books) has won the inaugural Aspen Words Literary Prize, a new $35,000 award given to “an influential work of fiction that illuminates a vital contemporary issue and demonstrates the transformative power of literature on thought and culture.” The four finalists included fellow Riverhead author Lesley Nneka Arimah for WHAT IT MEANS WHEN A MAN FALLS FROM THE SKY and Viking author Zinzi Clemmons for WHAT WE LOSE. Our Aspen Words Literary Prize nominees: WHAT IT MEANS WHEN A MAN FALLS FROM THE SKY by Lesley Nneka Arimah (Riverhead) WHAT WE LOSE by Zinzi Clemmons (Viking) EXIT WEST by Mohsin Hamid (Riverhead) Penguin Press author Phil Klay, head judge on the five-member awards jury, commented to NPR, "I think we wanted writers who are really able to capture the messiness of reality and human experience in their works — in whichever direction they took. These are the books which we think are most vital for understanding who we are as a people, as a country, as a world right now. 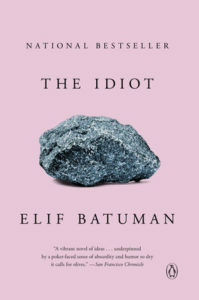 And that sounds like a big, broad statement, but I think that's what you're going to find in the best fiction written about social issues right now." 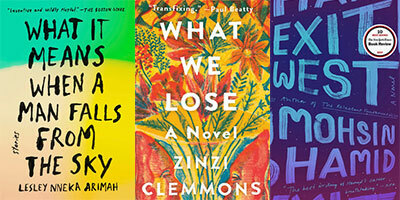 View the complete list of 2018 Aspen Words Literary Prize finalists here. 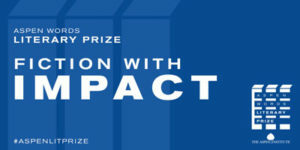 The winner will receive $35,000 and be announced at an awards ceremony at the Morgan Library & Museum in Manhattan on April 10. Professor of Psychology at Harvard University, cognitive scientist and public intellectual, Pinker urges everyone to step back from the gory headlines and prophecies of doom, which play to our psychological biases. He shows that life, health, prosperity, safety, peace, knowledge, and happiness are on the rise, not just in the West, but worldwide. This progress is not the result of some cosmic force. It is a gift of the Enlightenment: the conviction that reason and science can enhance human flourishing. 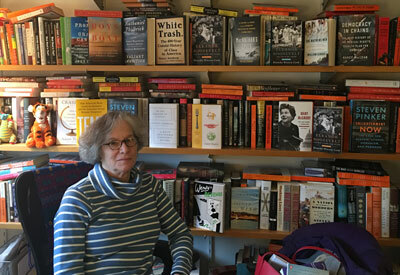 In this Three Questions for an Editor interview, Wendy Wolf, Vice President, Associate Publisher, Editorial Director Nonfiction, Viking, takes us inside the world of Pinker, their editor/author process, and the importance of ENLIGHTENMENT NOW. 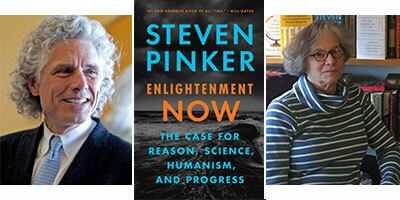 When, how and why did you become the editor of Steven Pinker’s books? [caption id="attachment_9757" align="alignright" width="350"] Wendy Wolf[/caption] ENLIGHTENMENT NOW is our fifth book together. I became his editor around 2000, when Viking acquired The Blank Slate. Steve was already well known for his work in language and psychology, but that book marked a turn for him, a broader inquiry into human nature. I was immediately drawn to his provocative stance in the nature/nurture conversation, and to the breadth of evidence that he wanted to take in to make his argument. It became his first hardcover bestseller and was a finalist for the Pulitzer Prize, which was rewarding for a book of challenging intellectual ideas. Since then, we’ve alternated between books about language (and writing) and books of about human nature and society. 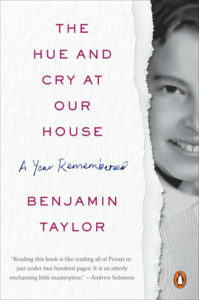 The Sense of Style (in which I accused him of taking his revenge on all the copyeditors who’d fiddled with his grammar over the years) was a fun respite after The Better Angels of our Nature, a huge and ambitious tome about the history of violence. Steve is obviously fiercely brilliant but he is also fearless when it comes to taking on controversial topics (intelligence, IQ, heredity, just for starts); and he tackles every topic with passion, from complicated neurology and deep philosophy to the finer points of constructing sentence trees. He and I have argued over everything from split personalities to split infinitives, but I always enjoy our editorial battles. He’s open to new ideas, and he has a great sense of humor and a useful fluency in popular culture. He works hard to get it right for every reader, not just his pointy-headed colleagues in the academic community. Steve is also a lot of fun to publish because he’s such a good sport and game for almost anything including, most recently, doing a book interview on ice skates at Rockefeller Center (true fact). He’s even enthusiastic about author tours. 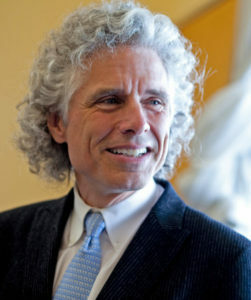 “I know it’s mandatory for authors to say they hate them,” he recently told me, “but if I spend two years writing a book, I sure want to tell people about it!” [caption id="attachment_9758" align="alignleft" width="251"] Steven Pinker[/caption] What was involved in the editor/author process as ENLIGHTENMENT NOW went from initial concept to its final form? 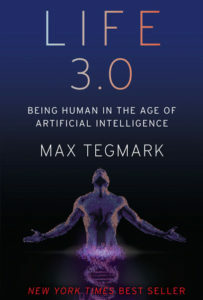 ENLIGHTENMENT NOW took several major leaps and turns from the book we originally planned. It was conceived as an outgrowth of a New Republic piece Steve wrote called “Science is not your Enemy,” and was meant to be a short polemic defending science’s contribution to civilization. 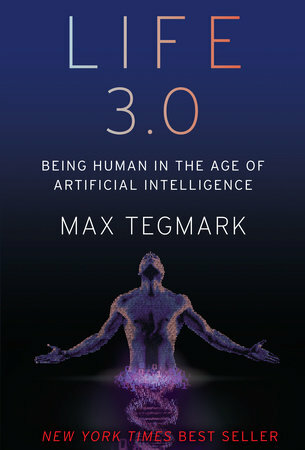 As Steve began to follow the data, the book’s themes and parameters grew, and we wound up with many hundreds of pages of manuscript (and many charts and graphs) outlining the progress we had made in so many areas of human experience and the significant role that the Enlightenment virtues—reason, rationality, and humanism—had played in that progress. Then Trump happened. The day after the election, Steve and I had a long talk about the challenges of publishing a book trumpeting the triumph of reason at such a frightening moment, and realized that now more than ever we needed to shine a light on the good news in the world (and there is plenty of it), and come up with a framework to help understand why it all seemed so dark, and specifically to track the origins of the tribalism that infects politics and society today. Looking at the range of themes, values and questions addressed, why is this such an important book for our times and today’s readers? 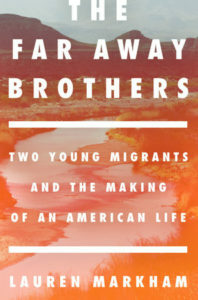 This book is counterprograming to the gloom and doom in our current discourse (all across the political spectrum), but it’s no Polllyanna-ish dream of easy Utopia. Conquering disease, fighting illiteracy, defending human rights, saving children’s lives, eliminating war—these are all tough battles but we are winning them, but it’s not because of natural evolution or continental drift. The real drivers for progress are found in the law, in social programs that protect the vulnerable, in science that fights against climate change, and in books! World literacy turns out to be one of the biggest drivers of peace and justice. 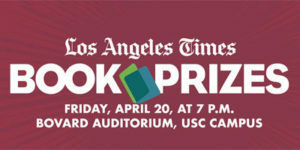 The Los Angeles Times has announced the finalists for its 2017 Book Prize Awards, which annually honors outstanding books in 10 categories. 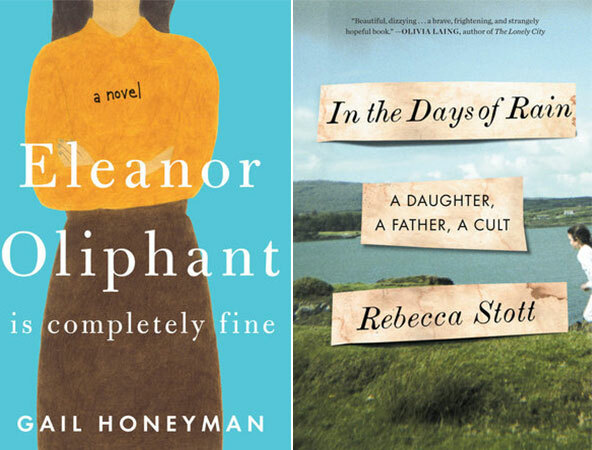 Below are our 15 Penguin Random House imprint nominations, and our winners of two of their non-competitive prizes. 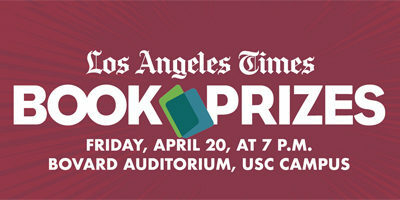 The winners in the literary categories will revealed on April 20. Viking is pleased to announce ON THE OTHER SIDE OF FREEDOM: The Case for Hope, a new book by DeRay Mckesson, civil rights activist and host of the podcast Pod Save the People, coming September 4, 2018. Georgia Bodnar and Wendy Wolf at Viking acquired North American rights, as well as audio and first serial, from CAA. In August of 2014, the twenty-nine-year-old activist stood with hundreds of others on the streets of Ferguson, Missouri, to push a message of justice and accountability. These protests, and others like them, resulted in the birth of the Black Lives Matter movement. 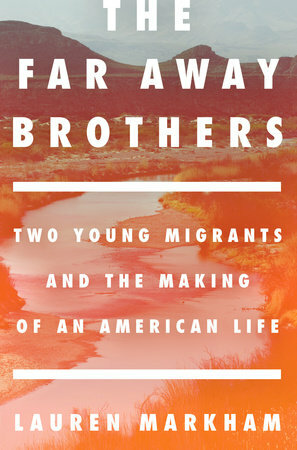 Now, in his first book, Mckesson lays out the intellectual, pragmatic political framework for a new liberation movement. [caption id="attachment_9584" align="alignright" width="262"] DeRay Mckesson, photographed in New York City. [/caption] Honest, courageous, and imaginative, ON THE OTHER SIDE OF FREEDOM is a work brimming with hope. Drawing from his own experiences as an activist, organizer, educator, and public official, Mckesson exhorts all Americans to work to dismantle the legacy of racism and to imagine the best of what is possible. Honoring the voices of a new generation of activists, ON THE OTHER SIDE OF FREEDOM is a visionary’s call to take responsibility for imagining, and then building, the world we want to live in.Continuing a conversation about activism, resistance, and justice that embraces our nation’s complex history, he dissects how deliberate oppression persists, how racial injustice strips our lives of promise, and how technology has added a new dimension to mass action and social change. He argues that our best efforts to combat injustice have been stunted by the belief that racism’s wounds are history, and offers a new framework and language for understanding the nature of oppression. With it, we can begin charting a course to dismantle the obvious and subtle structures that limit freedom. DeRay Mckesson says, “In the past three years I’ve seen unrest sweep America, first in the streets in Ferguson and then all over the country. I have seen people claim their power, knowing that this country has not yet delivered on its promise of equity and justice. In this book, I explore the causes of the current inequity and offer a vision for how we get beyond it, to a place of freedom. I’m excited to work with Viking and am excited to write my first book. 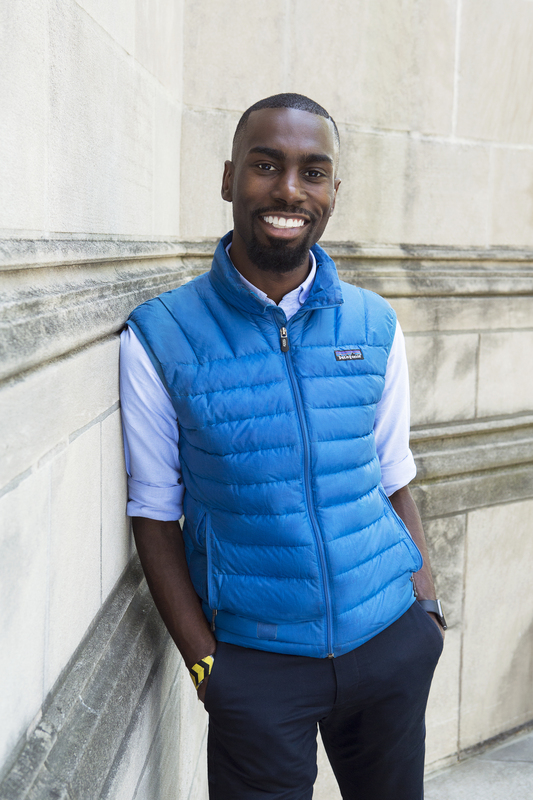 I believe that we will win.” Brian Tart, President and Publisher of Viking, says, “DeRay Mckesson is the voice of a new generation, leading the charge in the fight against racism and injustice today. In this book, he holds America accountable, but also brings a message of hope and shows us the way forward. We are thrilled to publish him at Viking.” Mckesson is a civil rights activist, community organizer, and the host of Crooked Media’s podcast, Pod Save the People. He started his career as an educator and came to prominence for his role in documenting the Ferguson protests and the movement they birthed and for publicly advocating for justice and accountability for the victims of police violence and the end of mass incarceration. He’s spoken at venues from the White House to the Oxford Union and universities and appeared on TV shows across the political spectrum. He was named #11 on Fortune’s World’s Greatest Leaders list and Harvard’s Black Man of the Year in 2016, among his many other accolades. A leading voice in the Black Lives Matter movement and the co-founder of Campaign Zero, a policy platform to end police violence, he lives in Baltimore, Maryland. Deborah Harkness, #1 bestselling author of the All Souls Trilogy (A Discovery of Witches, Shadow of Night, The Book of Life), will publish her next novel for Viking on September 25, 2018. The book is called TIME’S CONVERT and set in the same universe at the All Souls Trilogy, as it jumps between contemporary London and Paris as well as the American colonies during the Revolutionary War. 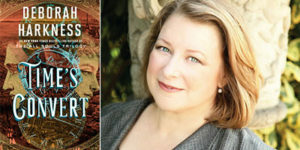 Readers can expect to see some of their favorite characters from the Trilogy, as Harkness uses her expertise as a professor of history at USC to deftly weave historical events into her page-turning story. Here is a preview: On the battlefields of the American Revolution, Matthew de Clermont meets Marcus MacNeil, a young surgeon from Massachusetts, during a moment of political awakening when it seems that the world is on the brink of a brighter future. When Matthew offers him a chance at immortality and a new life, free from the restraints of his puritanical upbringing, Marcus seizes the opportunity to become a vampire. 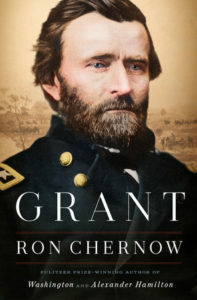 But his transformation is not an easy one and the ancient traditions and responsibilities of the de Clermont family clash with Marcus’s deeply-held beliefs in liberty, equality, and brotherhood. Fast forward to contemporary London, where Marcus has fallen for Phoebe Taylor, a young employee at Sotheby’s. She decides to become a vampire, too, and though the process at first seems uncomplicated, the couple discovers that the challenges facing a human who wishes to be a vampire are no less formidable in the modern world than they were in the 18th century. The shadows that Marcus believed he’d escaped centuries ago may return to haunt them both –forever. A passionate love story and a fascinating exploration of the power of tradition and the possibilities for change, TIME’S CONVERT will delight fans of the All Souls trilogy and all readers of magic, the supernatural, and romance. First Novel Gail Honeyman for ELEANOR OLIPHANT IS COMPLETELY FINE (Pamela Dorman Books/Viking) Biography Rebecca Stott for IN THE DAYS OF RAIN (Spiegel & Grau) Congratulations to our authors as well as their editors and publishers. 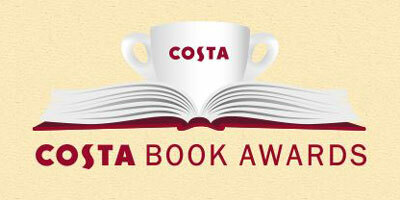 View the complete list of Costa Book Awards winners here. All category winners receive £5,000 (about $6,800) and are eligible for the £30,000 (about $40,795) Costa Book of the Year prize, which will be announced on January 30 in London.